JiuFen (Jeoufen), Taiwan (台灣九份) is a popular destination about an hour east of Taipei. It’s popular with tourists and locals alike, but has a certain charm to it that can’t be missed. 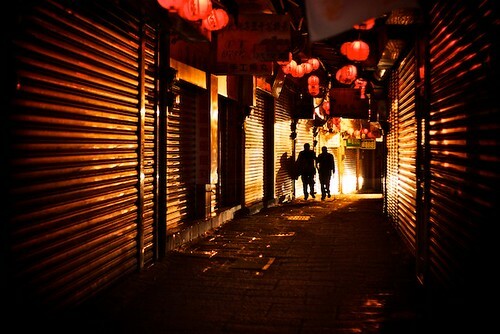 Jioufen Old Street, as seen at night after the tourists have left. The Jokhang Monastery (ཇོ་ཁང་) is the most holy of Tibetan Buddhism’s holy places. Unassuming from the outside, one needs to connect with the enthusiasm of the throngs of pilgrims walking around it to feel its allure. As it probably will be for you, visiting the Jokhang is a once in a lifetime experience for many of the pilgrims. Unlike you, many of these pilgrims walked to be there… and some of them even walked in a special way to show their devotion: They take three steps, say a prayer, and lie face-down on the ground. Then they stand up, take three more steps and repeat the process. The act of taking a prostrating pilgrimage can take the devotee years to reach the Jokhang from their home towns. 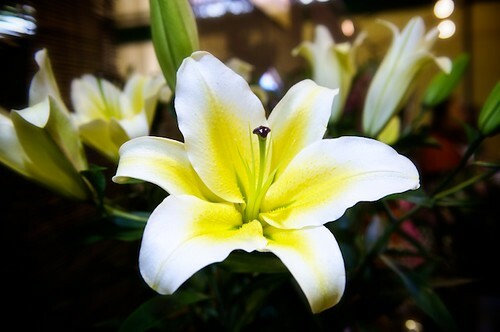 But many do it, as a sign of devotion and a way to help improve their karma in this life and the next. 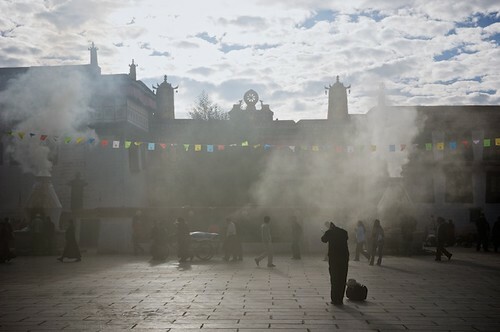 Pilgrims and merchants walk and pray in the juniper smoke early in the morning on the Barkor at the Jokang Monastery, Lhasa, Tibet. If you know me personally, or follow my blog, you probably know that some friends and I entered a contest called “The Best Trip in the World” put on by the Taiwan Tourism Bureau. 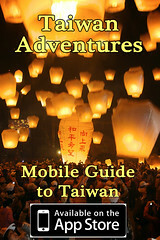 It’s a contest that gave the opportunity for selected groups of bloggers to travel Taiwan for 4 days and blog about it. We were one of the lucky groups selected and we completed our 4 day itinerary back in June. The final stage of the contest has arrived and we put our adventurers into a finale video, complete with a goofy music video at the end. Remember that this was the first time any of us ever tried to put a video together and we had a blast! We highly recommend that everyone get their friends together, plan a trip (to Taiwan, of course! ), and make a fun video!